If you’re a true connoisseur of coffee, you HAVE to have a coffee grinder at home. There’s no substitute for fresh-ground coffee. The in-the-moment grinding of the coffee beans ensures that your brew is as rich and flavorful as possible, and you prevent the degradation of the antioxidants that make your coffee so delicious. But finding the right grinder can be a challenge. Should you go with a blade grinder or a burr grinder? Which brand and model is the best? 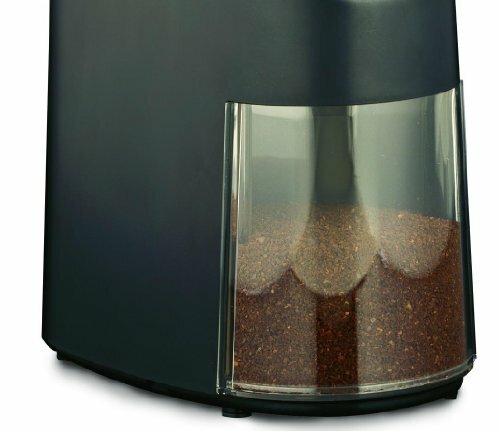 Should you use a standalone grinder or one built into the coffee machine? All these questions, all for the sake of a perfect cup of coffee. 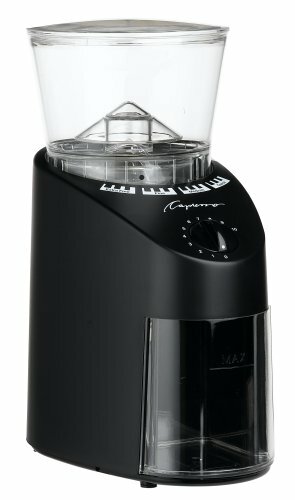 The Capresso Infinity is a burr grinder, which means it uses conical, ridged burrs to crush the coffee rather than cut it (like blade grinders do). The crushing helps to make a consistent size ground, which means better quality coffee. It also means reduced friction, so less heat to oxidize the antioxidants in the coffee. Using a burr grinder is always the smarter way to have the freshest possible coffee whenever you want it. This is a low-speed burr grinder (running under 500 RPM), which means it’s quiet, produces less friction/heat, and can produce a very fine ground without risk of burning out the motor or clogging the burrs. Thanks to its 17 positions, you have a wide range of coffee ground sizes to choose from. The burr grinder has 4 “quick set” settings: Coarse, Regular, Fine, and Extra Fine. This makes it easy for you to quickly choose the desired texture of your grind. But if you’re a perfectionist, you have 17 different burr positions to choose from. This means you have total control over the fineness of the ground according to the coffee you brew: espresso, cappuccino, French press, percolators, etc. The built-in electronic timer allows you to grind enough coffee for 2 to 12 cups at once. 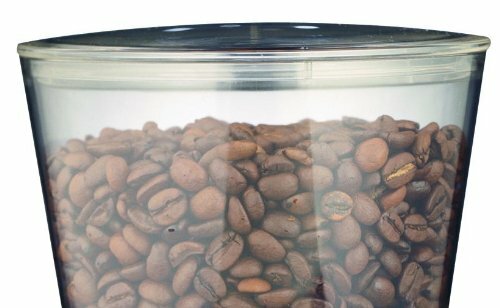 The hopper holds over half a pound of coffee beans, and the grind container will hold up to 5 ounces of fresh-ground coffee. The container even has a lid to reduce air flow and prevent oxidation (breaking down the antioxidants and flavonoids) of your fresh brew. The machine is built to last, with a heavy-duty look and feel. The die-cast zinc housing will protect your grinder from being damaged in its daily use, as well as protecting the motor when you wash/clean the parts. Total grind control – With 17 different grinder positions and 4 easy settings, you’ll find this grinder makes it easy to produce the perfect fineness of ground coffee in a matter of minutes. For a perfectionist, it’s a feature worth considering! User-friendly – The auto-grind feature will allow you to set the grinder to do its thing while you handle other kitchen tasks. It’s also quiet, easy to operate, and has safety features built in to reduce both user injury and motor damage. Even the tech-challenged will have no problem figuring out how to use the grinder. Easy cleaning – The burr grinders are designed to be easy to remove, so you’ll have no trouble cleaning the coffee maker with every use. Low-speed grinder – The fact that this is a low-speed grinder means you’ll get the freshest possible cup of coffee every time. The low friction generates less heat, so less oxidation of the coffee beans. Not for espresso – While this grinder promises to deliver all types of ground, it can’t produce the truly find ground you need for a cup of espresso. No anti-static coating – Many grinders use an anti-static coating to prevent the grounds from jumping around as they are being ground. This grinder doesn’t have that coating, so you have to spend more time grinding to try to get all the beans. In fact, it’s highly unlikely that you will ever get ALL the beans. Quality control issues – A lot of users have reported no problems with the grinder for the first few months (3-6), then the machine stops working properly within the 6-12 month timeframe. Between locked-up mechanisms, uneven grind, and difficulty with the moving parts, this grinder may not be the best in terms of quality control. 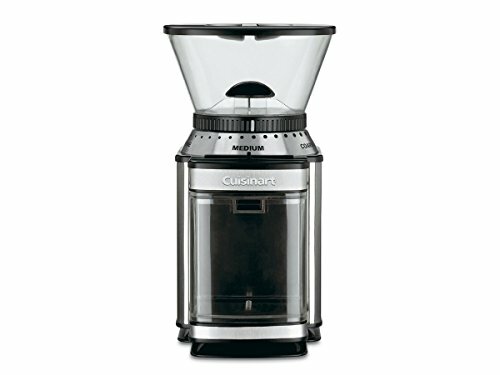 Cuisinart DBM-8 Supreme –­ This coffee grinder has 18 grind positions, can produce up to 18 cups of fresh coffee grind at a time, and is much more durable and long-lasting than the Infinity. It’s also priced the same, and has the same heavy duty metal case. It’s an automatic coffee mill that gives you a wide range of choices when it comes to producing fresh coffee ground. KRUPS F203 – This is a blade grinder, which means it will grind your coffee more quickly but with less consistency. For those who make French press or percolator coffee, it’s a good option to consider. It can produce up to 12 cups of coffee at once, grinding up to 3 ounces of coffee PER SECOND! If you want a cup of coffee in less time and you’re not too particular about the coarseness, this $18 grinder is an excellent option. 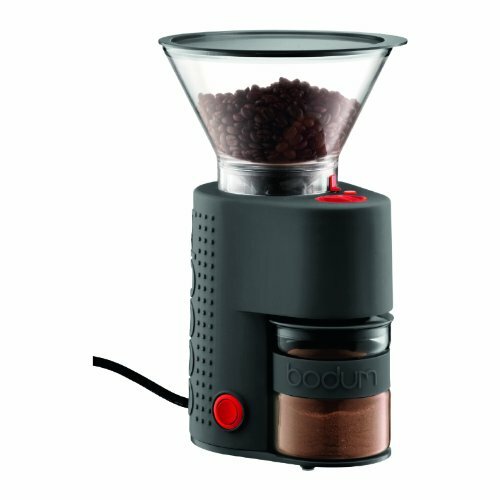 Bodum Bistro Electric Burr Coffee Grinder – If you’re willing to pay a bit more for quality, try this electric burr grinder. You only get 14 settings, but there is a great deal more consistency with the grind fineness than with the Capresso Infinity. You have total control over the coarseness and duration of the grind with the press of a button. It’s a highly user-friendly grinder that will make grinding much easier. It has an anti-static coating to ensure the beans spend less time hopping around before being ground. However, be prepared for a higher price tag: $71! The Capresso Infinity Burr Grinder is a good option for those who want a reliable appliance that produces high-quality fresh coffee on demand. It’s not too pricey, produces a good blend, and will make a beautiful addition to your kitchen. However, be aware that the grinder does have some issues (with quality control and consistency). If you are the type of coffee connoisseur who wants your coffee to be JUST SO, you may be better off considering another coffee grinder. Previous Post: « Breville Infuser Espresso (BES840XL) Review: Should You Buy It?